Sheltered is the 2016 survival/base-building game from Unicube and Team 17. In it, you take control of a number of survivors (depending on gameplay type) and have to build your base and survive the elements in a post-apocalyptic world. I finally got my hands on the game and had a mostly positive experience, though with a few issues. 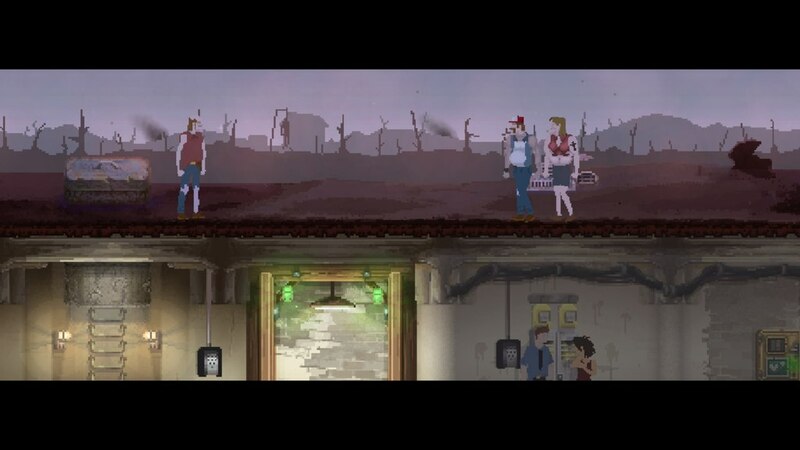 Sheltered offers two different game types, survival and scenario. In survival, you have to… survive. Eventually, the goal is to fix up an RV and win. You start with a family of four (two adults and two children) with a variety of customization options for difficulty. You can pick the difficulty which will pre-set things, or you can change each one individually. Things like how much rain, how many encounters, and many other things can all be adjusted for you to decide how you want to go into the experience. 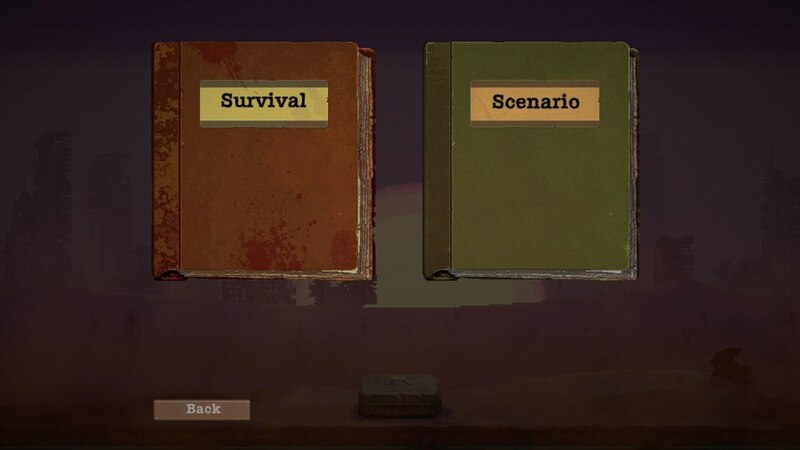 You can also change the stats of your survivors to raise or lower the difficulty depending on what you want. This is a great way to learn the game, and good in theory. The problem being there is still a lot of RNG that can shift things. For instance, you can set the game up for high rain but then get a lot early in and still have long stretches later on with no luck. So a lot of rain making the game “easier” becomes a bit of a misnomer. In fact, you can apply this logic to one of my issues with the game overall. 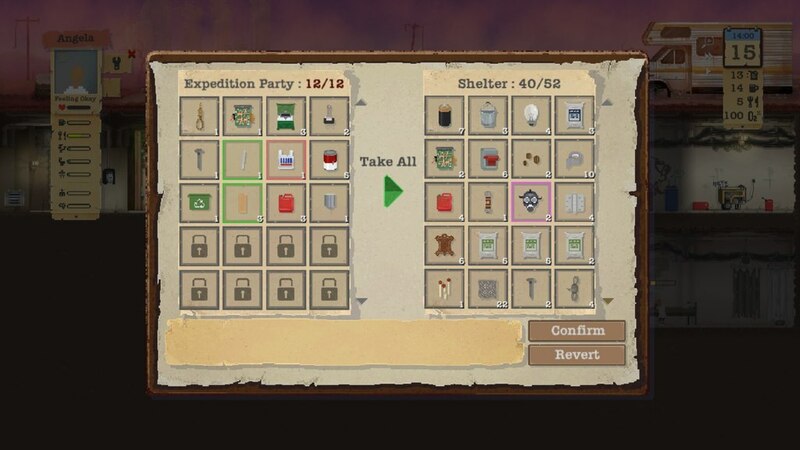 The game relies on you sending people from the shelter to gather resources, using those resources to upgrade and make new things and eventually reaching the point where the shelter is almost, and gathering is more to help fix the RV. The problem being a lot of the things needed require a lot of resources, and resources, like everything else, are random. I have gone entire weeks in game without finding much of use and eventually getting to the point that I can no longer progress because I am not able to sustain the shelter. Other times you might hit a string of great luck, advance rather quickly, and even almost be able to put the shelter on a bit of an autopilot for a while. It started to become a bit of a pet peeve for me though, I felt blocked from experiencing a lot of the game because hitting walls due to bad resource gathering happens a lot more often than not. What I have experienced of the game I greatly enjoy, but I would like to see more. Every time I have gotten further, it’s been the result of good luck rather than a different strategy. It becomes a blend of balancing issues and dumb luck. Both of which become a source of frustration frequently. I have often talked about not enjoying games that are challenging based on luck several times. I don’t hate them, I play a number of them, but they leave me a bit annoyed. When you add in a few balancing issues on top of that, it starts to hold back a great experience for me. That is not to say that there is no learning curve or chance for improvement. Even with what I feel are issues with the balance and RNG you will improve and learn to strategize better over time. You might still have a great run entirely destroyed by a bad string of luck, but you will be able to compensate for that the more time you put into the game. What strategy is there is a great deal of fun though. There are a lot of different ways to build up your shelter and different priorities to consider. When do you start accepting new survivors? What do you focus on most in the base? Who do you send out to scavenge the most? Is it better to have well-rounded survivors or ones that are hyper-focused? All of these make for a great and varied experience. The scenarios are there for when you have gotten more of a hang on the game overall. They give you a preset family and goal you have to accomplish. Due to my limited progression in survival, I did feel thrown in the deep end when I tried them, but they are meant to be super challenging. I do like the added element however and appreciate they built in different ways to play (although there could have been more of them). The art is interesting, kind of throwing back to retro games with spots of more details. The sound design is well done. The controls are solid and make for a relatively seamless experience. In the end, though I couldn’t help but feel something was not quite there. The game is good, don’t get me wrong, but it falls just a bit short for me. So bottom line? I suppose it depends. It is a game that is dependent on being a fan of the genre I think. If you don’t like this sort of base builder style of game, I don’t believe it will be the one that changes your mind. That being said, I don’t think you need to be a super fan either. It’s fun, if not challenging (for the wrong reasons), and enjoyable experience. It is one that I find myself being able to get lost in for several hours at a time, but am not super excited about either. I like it, and given the right type of gamer would recommend it, though I don’t see it making many top game lists.